Osteoarthritis is the most common joint disease. Cartilage, the tissue that normally protects the ends of bones for them to move smoothly over each other and absorbs the shock of movement, wears down over time. This is due to a number of factors such as aging, obesity, joint injury, hereditary causes or performance of activities that overly strain these areas. In the United States, this pathology affects over 27 million people. It is more common in women than in men, and it tends to develop as of age 55. According to the National Institute of Arthritis and Musculoskeletal and Skin Diseases of the National Institutes of Health (NIH), the wear and possible breakage of the cartilage causes the bones located around joints to rub together. The consequence for patients is pain, inflammation and loss of movement in the affected joints. 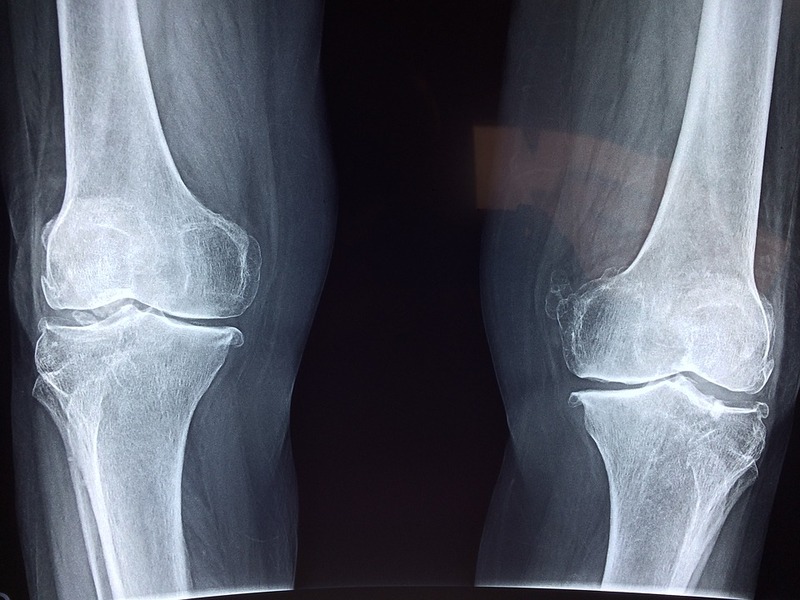 There is no technique to accurately diagnose the onset of osteoarthritis, which usually occurs in the knees, hands, spine or hips. Nor is there a treatment to cure the disease or halt its progression, beyond therapies meant to relieve symptoms. For years now, the group of Dr. Manuel Fuentes, of the Cancer Research Institute (CIC) of Salamanca, has been working to identify new biological markers for osteoarticular diseases. Their goal is to characterize molecules that enable diagnosis of these pathologies and understand their progression, prognosis and response to current treatments, as the group published three years ago in the Journal of Proteome Research. Up to now, a number of research efforts have characterized proteins related with the degradation of the three main articular tissues (cartilage, bone and synovial membrane). Yet none of these markers have been validated by systemic usage in clinical practice. One common technique for the determination of new biomarkers is based on proteomic profiling technologies, a set of powerful tools that use mass spectrometry to identify and validate new molecules related with the appearance of osteoarticular diseases. This was shown by various studies published in the journals Clinical Proteomics, which evaluated the proteome of the synovial liquid in osteoarthritis patients, and in Proteomics, which determined the pattern of N-glycosylation of different tissues with this disease. Nonetheless, its low sensitivity when it comes to analyzing complex biological samples has opened the door to other technologies. In this vein, high-throughput protein microarrays offer a direct technique to simultaneously evaluate thousands of antigens using a minimum amount of sample. Fuentes’s group has used this second method to characterize samples of serum, cartilage, bone and synovial membrane in healthy individuals and patients with osteoarthritis or rheumatoid arthritis, another disease that affects joints as a consequence of chronic inflammation caused by the patient’s own immune system. In the study recently published in the Journal of Proteome Research, differential serum protein profiles have been identified in osteoarthritis and rheumatoid arthritis by antibody arrays containing 151 antibodies against 121 antigens in a cohort of 36 samples. Later, scientists have applied this technique, in use for several years, to validate the various profiles with samples from 282 patients. According to their results, the overall immunoreactivity is higher in the pathological situations in comparison with the controls. Scientists also underscore that thanks to this kind of proteomics-based method, it is possible to analyze a high number of antigens with little amount of sample. The biomarkers discovered until now are related with inflammatory response, lipid metabolism, and bone or extracellular matrix formation, remodeling and degradation. As the authors themselves explain, the study “provides interesting insights into the differential protein serum profiles of OA [osteoarthritis], RA [rheumatoid arthritis], and healthy individuals, leading to candidate antigens worthy of further evaluation. However, additional steps will be required to verify the actual findings”. Their research clears a path towards early, accurate diagnosis of this type of pathologies, their progression, prognosis and response to treatments through a simple serological analysis.